HIAWASSEE, Ga. – Opioid abuse is a far-reaching epidemic in the United States, and Towns County is no stranger to the adverse affects. Opioids are a class of drugs which include prescription painkillers, such as OxyContin, in addition to illicit heroin. An opioid overdose can be deadly, and the primary signs that death may be imminent includes slowed or ceased breathing, pinpoint pupils, and unconsciousness or non-responsiveness. In some cases, symptoms of an opioid overdose involves limpness, pale or clammy skin, a purple or blue tint to fingernails and lips, and vomiting. 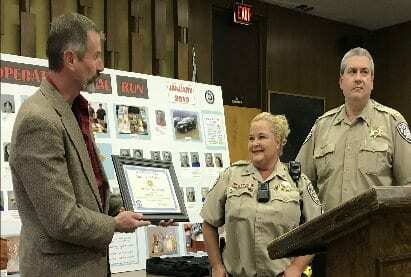 On April 4, Towns County Sheriff Chris Clinton awarded a local deputy for her actions in preventing the death of an overdose victim with the use of naloxone, a medication also known as Narcan, which reverses the effects of an opioid overdose. “On January 26, 2019, Corporal (Lisa) Joseph was dispatched to an overdose call at a residence in northwest Towns County,” Towns County Sheriff’s Captain Jim Couch stated. “Upon arriving, she was greeted by the home owner and a small child, the owner stated that a friend had come to the residence while he was away and was found inside the residence, sitting in a chair and was in a comatose condition. He believed the friend had overdosed on a narcotic. He further stated he was aware that the friend was a drug user and stated he may have taken an overdose of heroin or some other type of narcotic drug. When administered, opioids bind to the brain’s receptors, affecting the functionality of the central nervous system as a result. More specifically, they depress or slow the functions of the central nervous system, decreasing respiration. An overdose occurs when the dose of opioids is higher than what the body and brain can tolerate, and breathing slows to a dangerous level or stops altogether. According to medical professionals, it is important, even with the use of Narcan, for people who experience an opioid overdose to receive immediate, emergency treatment. Opioid overdoses can lead to not only death, but can result in permanent mental and physical damage. HIAWASSEE, Ga. – Towns County Sheriff’s Office released a written statement March 13, continuing to distance itself from what many in the community believe was a preventable tragedy. On the evening of Feb. 23, Hiawassee resident Terry Silvers crashed his Toyota truck head-on into a vehicle on NC-69, seriously injuring a grandmother and psychologically-damaging her granddaugter. Silvers died upon impact. A 911 caller that pursued Silvers, pleading for unanswered assistance from law enforcement, remains traumatized by the horrific event. 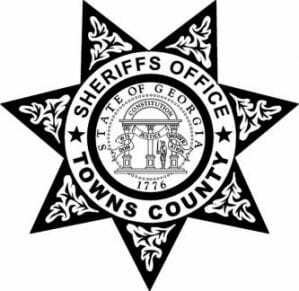 In the ill-received statement to citizens, Towns County Sheriff’s Office provided a list of “facts” which include mileage statistics, information on a simultaneous call issued for a possible prowler in progress, and reminded that although the call for help originated in Georgia, the fatal accident occurred in North Carolina. In the statement, Towns County Sheriff’s Office claims that a sheriff’s office deputy was not specifically assigned or dispatched to a reckless driver. “Towns 911 dispatch gave a lookout to any and all law enforcement officers who may have been in the area of Highway 76 and Highway 17 to be on the lookout for a reckless driver,” the statement reads. Towns County Sheriff’s Office Deputy 112, Greg Joseph, however, was the sole deputy assigned to the area in question at the time that the transmitted emergency “lookout” for Silvers’ Toyota pickup was issued. Undisputed by those who have listened to the disturbing 911 audio is the fact that Deputy Joseph’s patrol siren can be heard bypassing the 911 caller in lieu of a possible prowler, an incident which two officers had covered. 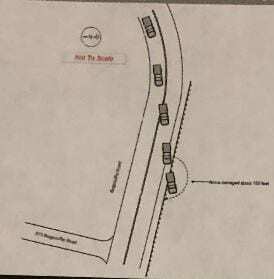 Within the 911 audio , Towns County Sheriff’s Deputy 116 Eddie Spradlin, along with Hiawassee Police Officer 305 John Carter, voiced radio reponses to 911 dispatch in reference to the potential prowler on Clark Drive, prior to the fatal be-on-the-lookout (BOLO) for Silvers’ vehicle. Furthermore, Towns County 911 asks for the combined status of Deputy 116 and Officer 305 three separate times. Towns County Sheriff Chris Clinton claimed, however, that western-zoned Deputy Joseph was unaware that two officers had responded because “the city officer never advised the 911 Center by radio that he was enroute.” Hiawassee Police Department informed FYN that the city officer responded to the call to assist from Towns County Deputy Spradlin in order to shorten response time. The county deputy and city officer were actively clearing the residence at the time that the BOLO for Terry Silvers’ vehicle was issued. A troubling detail which preceded the deadly accident is the fact that Silvers was released without charges the evening prior to the fatality by the same deputy who raced past Silvers’ vehicle the following day. Several witnesses, including a Union County deputy whose fence was damaged when Silvers’ truck veered off the roadway, attested that Silvers was clearly under the influence of intoxicants the night before his death. Records show that Silvers had a history of accidents, and despite widespread knowledge of drug use, the father of six was repeatedly released without charges by Towns County Sheriff’s Office. Towns County Sheriff Chris Clinton posted Deputy Joseph’s body camera footage from Feb. 22 on the internet, causing widespread scrutiny in response to the handling of the incident. In the video, Silvers apologizes to the deputy for having to respond to the incident. “Well, I’d rather come out here and do this than having to pick your body up somewhere,” Deputy Joseph replied. “But you need to quit driving.” Approximately 24 hours later, Silvers was killed in the head-on collision. Also questionable in the minds of the community was a released, recorded phone conversation between Towns County Sheriff’s Deputy 116 Eddie Spradlin – the eastern-zoned officer – and the 911 dispatcher, shaming the emergency operator for issuing a BOLO during the potential prowler incident. FYN published the controversial transmission along with the frantic 911 call for assistance last week. “The Towns County deputies on duty and working on Feburary 23rd acted and responded appropriately as to the information that they had been given at the time,” Towns County Sheriff Chris Clinton stated, offering condolences to Silvers’ family and sympathy toward the victims of the crash. Due to overwhelming outcry, FYN remains on special assignment and will continue to actively investigate the circumstances surrounding Towns County Sheriff’s Office involvement in the tragic case. Results of a toxicology report, ordered on Silvers by North Carolina Highway Patrol, are expected in coming weeks. HIAWASSEE, Ga. – FYN uncovered troubling new details leading to the Feb. 23 accident that left one man dead, two victims injured, and a 911 caller in need of trauma therapy. On the evening of Terry Silvers’ fatal crash, an unresponsive be-on-the-lookout (BOLO) was issued by Towns County 911 to Towns County Sheriff’s Office. In the dispatched audio recently released by FYN, a siren can be heard passing a 911 caller who pursued Silvers’ vehicle into North Carolina, initiating an urgent call for law enforcement’s help. FYN recently discovered that the same Towns County Sheriff’s Office deputy who did not respond to the turned-fatal BOLO was the deputy who released Silvers the night before tragedy struck. 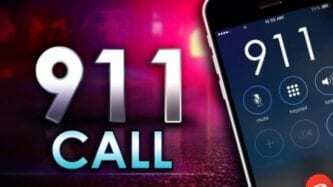 Towns County Sheriff’s Office Deputy Greg Joseph, also known as 112, bypassed the frantic 911 caller in order to respond to a possible prowler on Clark Drive in eastern Towns County. Deputy “112” released Silvers the previous night following an accident on Bugscuffle Road in Hiawassee. FYN received inside information that Towns County Sheriff’s Office Deputy 116, Eddie Spradlin, the county officer heard chastising the 911 dispatcher for issuing the BOLO on the released tape, requested the specific assistance of Hiawassee Police Department in response to the possible prowler. Towns County Sheriff’s Office dual, on-duty deputies were assigned to eastern and western zones. A Towns County Sheriff’s Office deputy and Hiawassee Police Department officer were already on scene, actively clearing the residence, at the time the unanswered BOLO was issued for Silvers’ vehicle, prior to the deadly accident. While FYN remains strong advocates of law enforcement, FYN’s questions concerning the Silvers’ case remain unanswered by Towns County Sheriff’s Office. On March 8, Sheriff Clinton published Deputy 112 Joseph’s body camera footage from Silvers’ Bugscuffle accident on the evening prior to the fatal crash. Despite testimonies from witnesses claimimg that Silvers’ was clearly in no condition to drive, Silvers was released without charges by Towns County Sheriff’s Office. As previously reported by FYN, multiple individuals have come forth to claim that Silvers was repeatedly released by Towns County Sheriff’s Office despite evident impairment following numerous accidents. In combination with widespread knowledge of Silvers’ opioid use, citizens are questioning why law enforcement failed to take a proactive role. In the published footage, Deputy 112 Joseph states that he has responded to accidents involving Silvers in the past while the tow truck operator on scene later questions Silvers’ sobriety. “Mr. Silvers, how many wrecks you going to have on this road?” the deputy asked. Silvers was administered an alcohol sensor and horizonal gaze nystagmus (HGN) test, and released without charges the night prior to his death. FYN discovered that Silvers was arrested in May 2008, by Hiawassee Police Department for driving under the influence of opioids. According to the arrest report, former Hiawassee Chief Jimmy Wright performed a HGN test which Silvers failed. In the report, the late chief stated that Silvers exhibited evident disorientation and slurred speech. In a social media post attached to the body camera footage, Sheriff Clinton stated in relation to the unresponsive BOLO that never was “a judgement call made by anyone employed by, supervised by, or otherwise under the control or responsibility of the Sheriff of Towns County.” Clinton seemingly shifted blame to Towns County 911, causing online outrage in response. An administrator with Towns County Sheriff’s Office added comments concerning the department’s need for back-up without acknowledging the fact that a Hiawassee Police Department officer was on scene. In addition, the sheriff’s administrator provided an informational link in a seeming attempt to disassociate the sheriff’s office from Towns County 911. UPDATE: Following the release of this article, the sheriff’s administrator deleted comments made. 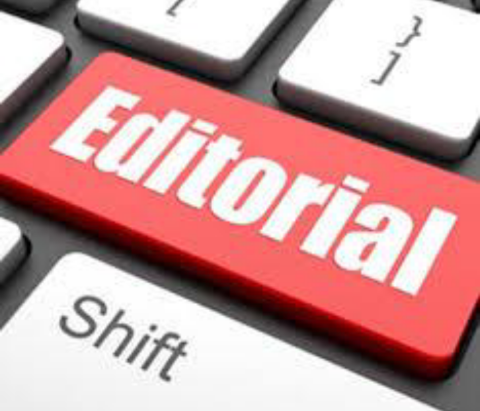 In accordance with state law, FYN filed a simple, open records request with Towns County Sheriff’s Office March 6 for the written report on the prowler incident. Towns County Sheriff’s Office replied that due to increased prisioner transport to the courthouse, the department’s road patrol lieutenant and captain had not yet approved the report, and that it will not be available for release until as late as March 15. Georgia’s Open Records Act allows a maximum of 72 hours for delivery of public records, or a viable reason as to why they cannot be produced. Towns County Sheriff’s Office has not responded to FYN’s requests for comment on Silvers’ case. WSB-TV and 11 Alive news in Atlanta have taken interest in FYN’s investigation. 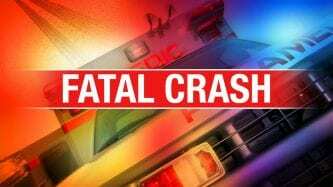 HIAWASSEE, Ga. – Terry Silvers, 52, a resident of Hiawassee, suffered fatal injuries Saturday, Feb. 23, in Clay County, NC, after the pickup truck that he was driving collided with another vehicle on NC-69. FYN released information three days after the deadly crash, divulging that Silvers had been involved in an accident in Towns County the night prior to his death. Towns County Sheriff’s Office responded to the Friday evening incident on Bugscuffle Road, and Silvers was released without charges. The accident report stated that alcohol or substance screenings were not conducted. Towns County Sheriff’s Office reported that the accident was the result of shifting firewood in the bed of Silvers’ truck. Multiple individuals contacted FYN to speak on behalf of Silvers, two of whom requested to go on-record, asserting that they believe Silvers would still be alive had local law enforcement reacted to prior incidents in a different manner. Silvers iterated that numerous individuals had conveyed to Towns County Sheriff’s Office on multiple occassions that Terry Silvers was under the influence of narcotics, and that Silvers should not return behind the wheel without facing legal consequences. “Middle of the year, 2018, as I was driving down our road,” Munger continued, “I met Terry as he was coming at me head on. I got off of the roadway to avoid being hit head on. I almost went over the embankment, and stopped. But the subject kept driving, even though I was trying my hardest to get his attention. He looked up and jerked the wheel making his way back into his lane, but still kept driving. I immediately called the sheriff’s office and left a message for Sheriff Clinton. But once again, there was no attempt of a return phone call,” Munger stated. Upon suggestion from a confidential source, FYN filed an open record request to review 911 audio of the “be-on-the-lookout” (BOLO) issued to Towns County Sheriff’s Office immediately prior to Silvers death. Heather Segars, a local resident, called 911 to report Silvers’ white Toyota driving recklessly on Highway 76, immediately prior to the fatal accident. Throughout the audio, Segars pleads for law enforcement to quickly respond. “He’s gonna kill somebody” is repeated on the graphic tape. Segars told someone at the scene, “I’ve been on the phone with 911 since Hiawassee…Oh God, he’s dead. I’ve been on the phone since Papa’s Pizza.” A siren can be heard arriving at the scene of the accident as the tragic call ends. According to emergency responders, Silvers died upon collision with the oncoming vehicle, the result of firewood ejecting into the cab of the Toyota pickup that he was driving. North Carolina Highway Patrol stated that Silvers did not appear to brake prior to impact, and that road conditions were not unfavorable at the time of the deadly crash. North Carolina Highway Patrol requested a toxicology screen on Silvers, and the investigation remains open. Results of the toxicology test are expected in coming weeks. FYN contacted Towns County Sheriff’s Office, offering an opportunity to provide a response. A statement had not been received at the time of publication. 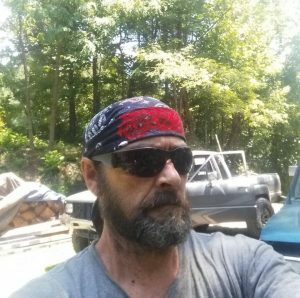 HIAWASSEE, Ga. – Following repeated, failed attempts to obtain firsthand information from Towns County Sheriff Chris Clinton, Fetch Your News (FYN) is obligated to report what we can confirm. Sheriff Clinton made it clear Feb. 22, that he has no intention of addressing the concerns of Towns County citizens if presented with questions by our investigative news team. “You can tell them that Fetch Your News is not my mouth piece,” Clinton lashed when FYN requested to speak with the elected official in Hiawassee Friday morning. The comment followed ignored, emailed requests to meet with the leader. FYN was not provided an opportunity to pose any questions prior to the sheriff dashing out of the building. FYN has attempted to gain pertinent information from Sheriff Clinton on several topics of citizen importance for many months to no avail. FYN maintains cordial relationships with the sheriffs in our 10 adjoining counties of coverage. Law enforcement officials in surrounding areas, including the city department, have proven to run transparent divisions, responding to requests for information when questions arise. While deputies and staff within the Towns County Sheriff’s Office make an earnest effort to inform the public, retrieving information from the sheriff himself has proven uneventful for FYN. As strong supporters of law enforcement, it is FYN’s sincere regret to have reached this point in our reporting. When our organization receives overwhelming inquiries on the same subject matter, however, it is our policy to contact the individual in question in order to provide an opportunity to set the record straight, an invitation which FYN has diligently extended to Towns County’s lead officer. It is never our intent to foster conflict in our dissemination of information, and FYN remains an open platform for public leaders to voice their views. While FYN stresses the innate difficulty attached to releasing this report, Sheriff Clinton’s uncooperative disposition branches beyond the scope of the media. FYN initially reported similar concerns regarding the sheriff”s disposition from multiple, local emergency agencies in March, 2018, following a school lock-down drill. Critics referred to the operation as an ongoing “lone ranger” act by the elected official. “Where is Sheriff Clinton?” is a resounding question that no one seems capable of answering, and one that the sheriff has refused to address in the past. Scrutiny regarding Sheriff Clinton’s lack of visibility as the county’s chief law enforcement officer, outside of speaking engagements, was brought to the attention of FYN by dozens of citizens, including members of the Towns County Homeowners Association (since renamed Towns County Civic Association), as early as 2017. While few will likely dispute that Clinton is anything less than a skilled public speaker, citizens and government employees attest to habitual absences from his offices and the field. Unrelenting rumors regarding the sheriff’s activity began to swirl within the community in late 2018, with a multitude of citizens continuing to contact FYN for accurate information. Sheriff Clinton’s reclusive and defensive nature led FYN to uncover themed-speculation from several, solid sources, prompting FYN to actively pursue direct contact with the lead lawman in expectation of quietly quelling the rampant hearsay. Known for its accuracy, FYN does not engage in reporting unsubstantiated allegations. What is indisputable, however, is that Sheriff Clinton has refused to address the citizens on any matter through the region’s fastest growing news network. Coupled with Clinton’s denial to provide information on basic matters, it unfortunately leaves one to ponder what the public official may not want known. Following the brief encounter with FYN, Clinton alluded to “rumors” and “facts” on social media Friday evening without providing substance. As an official who once stated that he prefers to “write my own news,” a blog that was launched by the sheriff in early December remains sparse of information. It cannot be stated strongly enough that FYN is not validating any accusations directed toward the sheriff by publishing this piece. It is our duty, however, to provide the public with the information obtained. FYN harbors no ill will toward the public official, and will continue to hope for an outcome that will provide the citizens with the answers sought. Despite ironclad evidence, Sheriff Clinton has been quick to parrot popular phrases in the past such as “fake news” and “drive-by media” as an alternative to accountability. It is anticipated that this report may garner a similar response from the constitutionally-elected officer. FYN will continue to provide accurate information for the citizens that we serve should it become available. HIAWASSEE, Ga. – Commander Bart Rodgers of the Veterans of Foreign Wars (VFW), Garrett-Owenby Post 7807, and Committee Chairman – Junior Vice Commander Mike Cosgro hosted a second annual awards banquet to honor students, teachers, and public servants, consisting of law enforcement, firefighters, and paramedics that serve the community of Towns County. The banquet was held Monday, Jan. 14. Each year, the VFW has recognized exceptional performance for outstanding commitment to education and public service. Also recognized are high school students who participated in the VFW’s essay contests known as Voice of Democracy, and Patriot’s Pen for middle school students. Teachers of all grades could be nominated by fellow teachers, students, supervisors or other interested individuals. Teachers who promote civic responsibility, flag etiquette, and patriotism, striving to help students develop a better understanding of democratic values and beliefs, are prime candidates for the award. This year’s winner was John Butler of Towns County Elementary School. Nominated law enforcement candidates included Georgia State Patrol Trooper Scott Stanley, Hiawassee Police Department Detective Brandon Barrett, and Towns County Sheriff Chris Clinton. Towns County High School participants in the Voice of Democracy essay contest included Braxton Barrett, Cade Poston, Mai Lim, Kayla Peacock, Lindsey Giles, Bazya Smith, Emily Vargas, Hunter Quinton, along with third place winner Riley Livingston, second place winner Alison Markham, and first place winner Austin Fairless. The winner of the Patriot’s Pen essay contest was Jayden Taylor of Towns County Middle School. Attendees included Towns County Commissioner Cliff Bradshaw, Towns County School Superintendent Darren Berrong, Hiawassee Mayor Liz Ordiales, and Chief Paul Smith of the Hiawassee Police Department. VFW Post 7807 extends gratitude and appreciation to the VFW Auxilary who provided and served a delightful lasagna and spaghetti dinner. 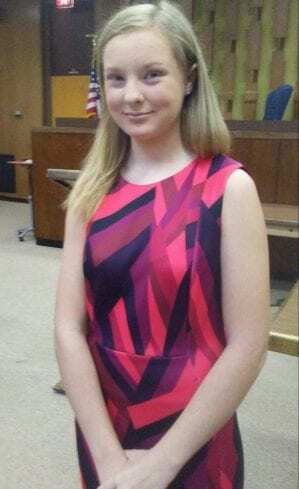 HIAWASSEE, Ga. – The sudden sound of automatic gunfire rang out in the courtroom of the Towns County Courthouse on Thursday, Dec. 18, a simulated start to a powerful, passionate speech on school shootings, delivered by Eastgate Life Academy student Hannah Minchew. Minchew plans to address state leaders in Atlanta early next year in an effort to shine a spotlight on a significant subject, one which is clearly close to her heart. “Did you not here that? Why are you still all sitting here? Do you even know what that was? That was the sound of an assault rifle,” the seventh grader began with conviction, referencing the Columbine shooting, “That was the sound heard by those students on April 20, 1999, when Dylan Klebold and Eric Harris started one of the worst school massacres in history. They killed 13 people, and wounded 24 others before turning the guns on themselves and committing suicide. 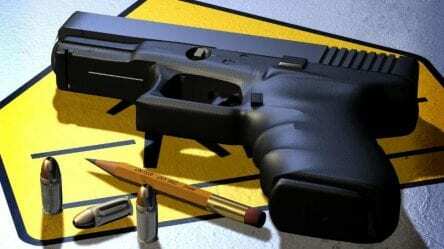 “Did you know that there has been 494 school shootings? 494, and 18 of those have occured in Georgia, and in most every case of a school shooting, the signs were there. These attackers had planned their attacks for weeks to months, but no one noticed,” Minchew continued, leading the 12-year-old to recap the warning signs present prior to the Sandy Hook tragedy. FYN has extensively reported on school security in our counties of coverage, and we will continue to pursue future developments.